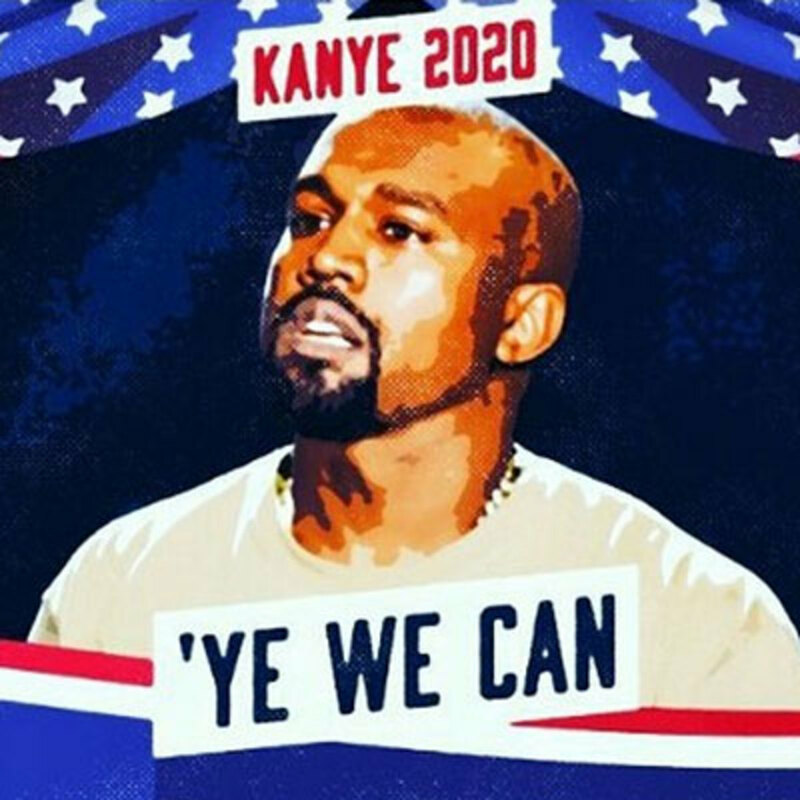 When Kanye announced that he was going to run for president in 2020 it was hard to tell if he was serious, we assumed he wasn’t. The idea of President Yeezy seems like a SNL concept or Dave Chappelle skit, a cross between Mays Gilliam and Black Bush. 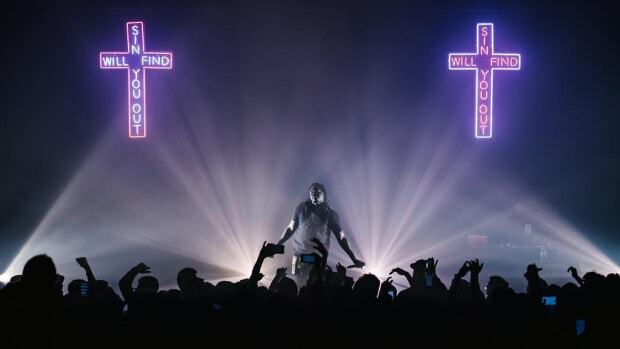 But after I had run through all the usual jokes - Pusha T for Secretary of Defense! The first First Lady with a public sextape! “All of the Lights” becomes the National Anthem! - I was left with a question. What if? Seriously though...what if? Arnold Schwarzenegger, an Austrian bodybuilder turned action movie star, became the Governor of California, a state so big it’s also the fifth biggest economy in the world. Is a Kanye West presidency really that much more unlikely? Jesse Ventura, a WWF wrestler who routinely rocked red feather boas, became the Governor of Minnesota. 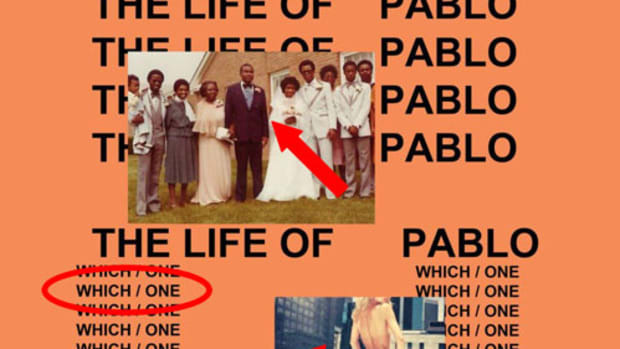 Is a Kanye West presidency really that much more unlikely? This one guy, Barack Obama, became the first Black president in America’s 230 year history after spending part of his childhood in Indonesia. Is a Kanye West presidency really that much more unlikely? Ronald Reagan got his start acting in country western movies, William Howard Taft once had to be removed from a bathtub by greasing it with butter, George W. Bush could barely put together a sentence. You get the point - why not Kanye Omari West? When people connect to Kanye it’s exactly that “what if?” spirit they’re connecting to. 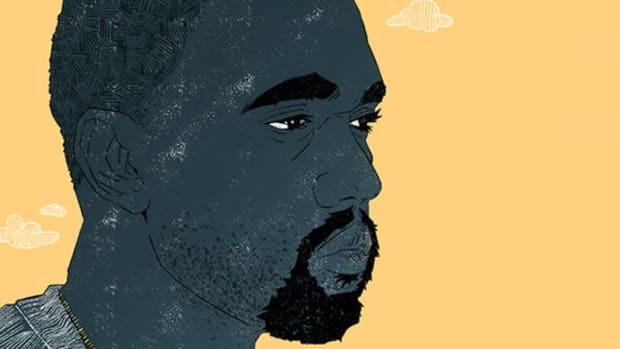 If he can go from making beats in his basement to a GRAMMY-winner maybe we can rise above our circumstances too, and that’s seemingly why Kanye says many of the things he does. Because simply by saying his wildest dreams out loud he begins to create the possibility they’ll come true. He personifies speaking dreams into existence - Talib Kweli has told stories of Kanye insisting he’d be a global superstar long before he even landed a beat with Hov, which seemed delusional at the time and is now incontrovertible fact. So whether he’s serious or not, as an exercise in possibility let’s take him seriously, let’s really look at what a Kanye presidency would really be like. Really. Of course, Kanye’s first challenge will simply be dealing with a level of criticism and obstruction even he’s never come close to experiencing. As a child I believed that the president was an almighty man, more than a man. He was a symbol of justice, liberty, and power, the face of America. During a visit to Monticello back in 2014 Barack said, “That’s the good thing about being president, I can do whatever I want,” obviously a joke but many people, especially the young believe this is the truth. The reality is the president works within a system, one that often actively obstructs his plans. The glass ceiling in the fashion world Kanye constantly referred to is nothing in comparison to dealing with the brick wall that is Congress and the election machine. But let’s say in the next five years he toughens up, manages to navigate the election world the same way he’s navigated the music industry. Here’s what I think America could look like under President West. Education: Kanye’s passion for education dates back as far as 2005, he used the Kanye West Foundation to team up with Musicland for the Free U. College Giveaway. The contest awarded a college student with $150,000 toward their schooling. What was even bigger was the Loop Dreams project, dedicated to putting music-production equipment in schools. 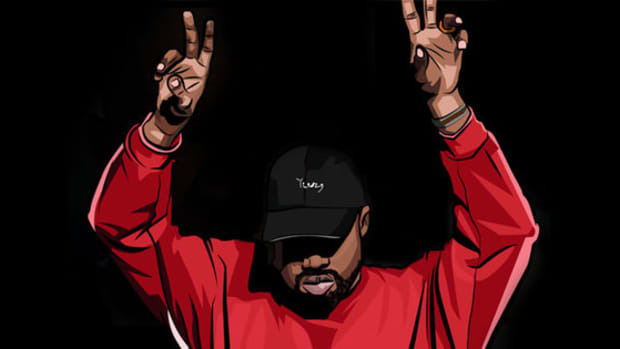 Despite being one of history’s most famous college dropouts, Kanye has been very vocal about persuading the youth to continue their education. His mother, a teacher, likely fueled his sense of academic importance. 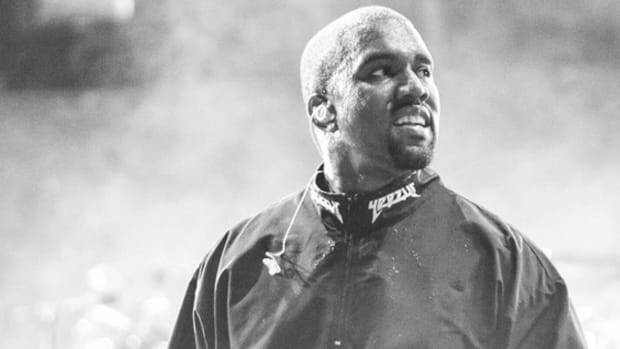 Kanye also has a vision for the future of education, during a stream-of-conscious tweeting tirade in 2012, he admitted to speaking with Spike Jonze about creating a summer program with a curriculum that centers on preparing students for real life. I think he would move away from traditional methods that can appeal to a new generation of students that are intrigued by the arts and alternative approaches to being taught. America’s schools are currently being crushed under the weight of a test score driven system, maybe President Kanye can rescue students from such a bleak fate? Unemployment: Last year, Kanye’s Donda House and Common’s Ground Foundation collaborated to assist Chicago’s immense unemployment issue. The goal was to create 20,000 jobs for their home city. The two came together for a music festival to raise money toward their passion project. Unemployment isn’t just an issue in Chicago but a nationwide problem, especially for the youth. If Kanye approaches his presidency with the same resolve we could see results. He is someone who has had history with odd jobs and understands the importance of having steady work to fund bigger dreams. The worry is that he’s too far gone into the world of luxury goods to remember the days when he dreamed of spaceships, but if he reconnected with those roots, we could have a President who truly knows what working for minimum wage looks like. Foreign Policy: Traveling is something Kanye has done a lot of. He’s toured and been in the presence of many different ethnicities and cultures. If the foreign leaders respect him as a president then it’s possible that all will be well, although I’m worried about if they see his celebrity and lack of political background as a form of weakness and attempt to push him into a corner. What happens if Kanye is forced into a Cuban Missile Crisis situation? A moment in history that one wrong decision could’ve lead to a third world war. Can you imagine Kanye in a 9/11 type situation? Can he make a logical decision while comforting the country? North Korea is fairly unpredictable and ISIS is still very dangerous, how he handles these potential problems is critical for his and America’s future. Civil Rights: The legendary moment at the NBC Katrina telethon where Kanye openly criticized President Bush would echo throughout his presidency. It’s also a moment that will cause him to react swiftly to any major disasters and issues happening in America. My problem with Kanye is that his current views on social injustice show that he’s removed from the very people he fearlessly spoke up for. If he continues saying things like classism is the new racism, that elitism is the new “n” word, and drawing parallels between the fashion industry and the civil rights movement I will be the first to request his impeachment. There’s too many black lives being lost for him to disregard the travesties in the world in such a manner. Old Kanye would never say these things, hopefully Old Kanye is still in there somewhere. 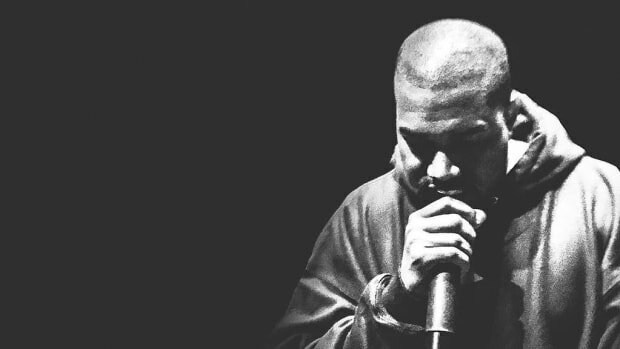 Influence: Kanye’s greatest strength is his influence. He is someone that the millennials have grown to adore as a figure and role model. When Kanye speaks, the world listens. Kanye is living passion, you can hear it when he speaks, the way he projects energy and belief with every word. He has a certain magnetism that can hypnotize an entire room. Throughout history, most presidents were great speakers. John F. Kennedy’s “New Frontier,” Barack Obama’s “A More Perfect Union,” Ronald Reagan&apos;s “A Time For Choosing,” every time Bill Clinton opens his mouth a room is under his spell. The problem with Kanye, he suffers from being unfocused and scatterbrained. Kanye will seamlessly leap frog from points in a way that often don’t connect. At times his speeches are motivating, they can truly inspire, and at other times it’s just a rambling tantrum. He can barely discuss t-shirts with Sway, imagine him in an actual debate? Antagonizing an opponent by highlighting his lack of answers isn’t going to win over voters. He has to learn and channel that raw energy instead of exploding like dynamite. Luckily the president has a team of speechwriters (aka ghostwriters) to help him, something Kanye might want to look into even if he never approaches politics. Vice President: I think a strong Vice President could make up for Kanye’s lack of political background. He could go the Sarah Palin wild card route and attempt to win the world over by having Beyonce be his second-in-command - not a very good idea. 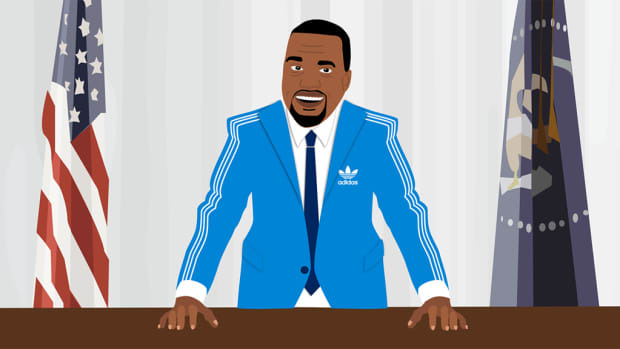 During an on-air freestyle, Kanye shouted-out Ben Carson as the next president of the United States. I don’t know if Ben will be victorious but I think his political experience could do wonders for Ye’s campaign. I also don’t think their views really mesh well together but I could be wrong. Who I would love to see stand with Kanye at the end would be Rhymefest. They have history and Rhyme is no stranger to politics. In 2011 he lost the election for Chicago’s 20th ward alderman. Also, in 2006 he met with UK Prime Minister, David Cam’ron Cameron to discuss the issues of rap lyrics. He has the knowledge and drive to truly push Kanye in the right direction. One of the biggest rock stars on the planet probably shouldn’t be president. I think Bill Clinton rocked out enough, we don’t need any scandals while Kanye is in the White House. Of course his past would return to haunt him, I’m sure politicians and the mainstream media would have a field day with his skeletons. Yet, if JAY Z has been able to recreate his image to stand firmly within corporate America I think there’s hope for Kanye. Jay has a record, he definitely stabbed a guy, has an open history of drug dealing, and still is able to function among dignitaries. The worst thing Kanye has done is break a paparazzi’s camera and tell Taylor Swift she didn’t deserve an award. The biggest dilemma that faces Kanye is simply maturing. To be the biggest, most important man in the world means he has to be a bigger man. 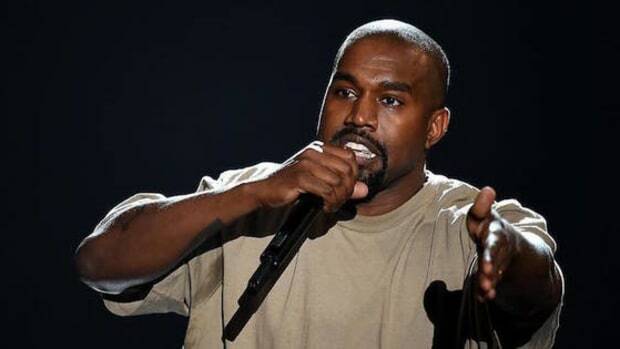 It’d be extraordinarily unlikely, but a Kanye West presidency isn’t impossible, and even if his presidential ambitions never extend beyond a speech on a VMA stage, if even one person who heard him asked themselves “why not me?,” if he can move into the later part of his career by proving to be a visionary in the wider world like he was in music, the world has a chance to be a better place. What if? TDE President Reminds Fans to Support Kanye West During "Tough Time"
Punch brings to light the delicate nature of our allegiance to artists.